Skip Hire Services provide affordable skips in Kent and the surrounding areas. Our range of skip sizes can accommodate all types of waste, with skip bin sizes starting at 2-yards for our mini skips right through to our 40-yard roll-on roll-off skips. We provide the best skip hire prices in Kent for both domestic and commercial clients. Skip hire is one of the most affordable ways to remove your waste in Kent, as well as being one of the easiest. Kent skips are also environmentally friendly, often recycling more than 80% of your waste. Skip Hire Services are proud to have one of the largest skip ranges within the UK. Our team of expert staff are available to answer any questions you may have, and ensure you choose the perfect waste disposal solution for your budget and requirements. We are happy to advise on, and even organise skip alternatives, when skip hire isn’t the most suitable option. 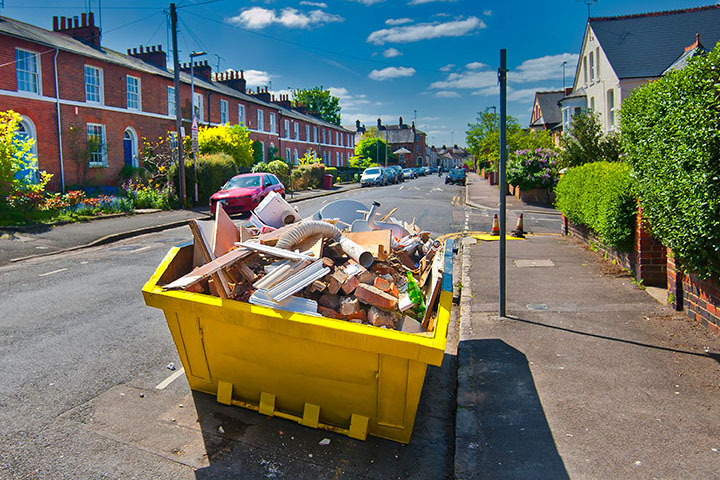 When hiring a skip, it is important to remember that you will require a skip permit if you are placing the skip on council owned land, such as a public road. Skip licenses are normally organised by your skip provider, and can cost from £15 to more than £60, depending on your council. If you are able to place the skip on your own property, a permit will not be required. Skip Hire Services will provide the leading Kent skip hire prices for your waste and skip size requirements. If you are looking for the cheapest skip hire deals in Kent, request a quote today. Lockable skips are also available in various sizes in Kent, and are perfect when you need to keep your waste safe or prevent unwanted waste being added to your skip. When a skip is placed on council land (such as a road) in Kent, you will normally require a skip hire permit. Kent skip hire providers will often include the cost of the council skip hire permit in their quote. If you are placing the skip on your own land, you will not require a permit. Skip Hire Services hold a waste carrier license, allowing us to provide skips and remove waste in Kent. We also have £5million public liability insurance, to ensure you are protected.